This Adventure pack contain an adventure deck and player cards to expand your deck with. 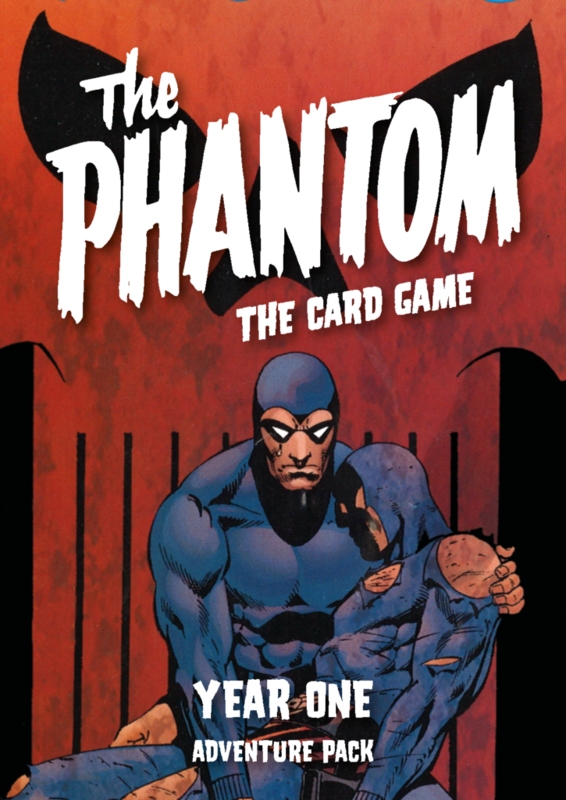 It is an expansion and needs The Phantom the card game starter pack to be played. For a multiplayer adventure the companion pack(Diana in the Jungle Patrol) is also needed. Jump into the story year one the 21st Phantom’s first adventure after taking the role as the Phantom. Based on the 2004 story created by Claes Reimerthi and Paul Ryan.